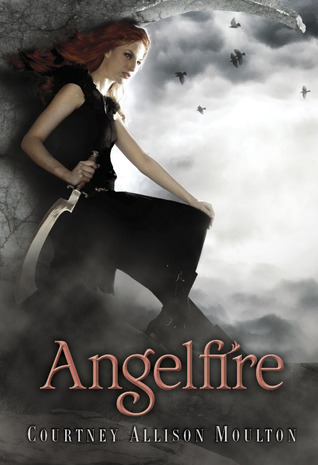 Welcome to the first day of the Angelfire #ReaditandReap Read-Along! Like I mentioned in last week's post, the ball will start rolling on Monday, December 3rd, but today Nicole and I are here to lay out the main gist of this read-along and what's in store for all you ravenous readers! 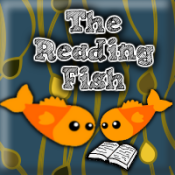 This post is kind of like the blueprint of the whole read-along so as long as you follow this, you'll be golden until January 29th, 2013! All Hannah longs for is a nice and quiet vacation after her first year of teaching French at a high school. She joins her brother Ben for the summer in their mom’s log cabin in Arizona. 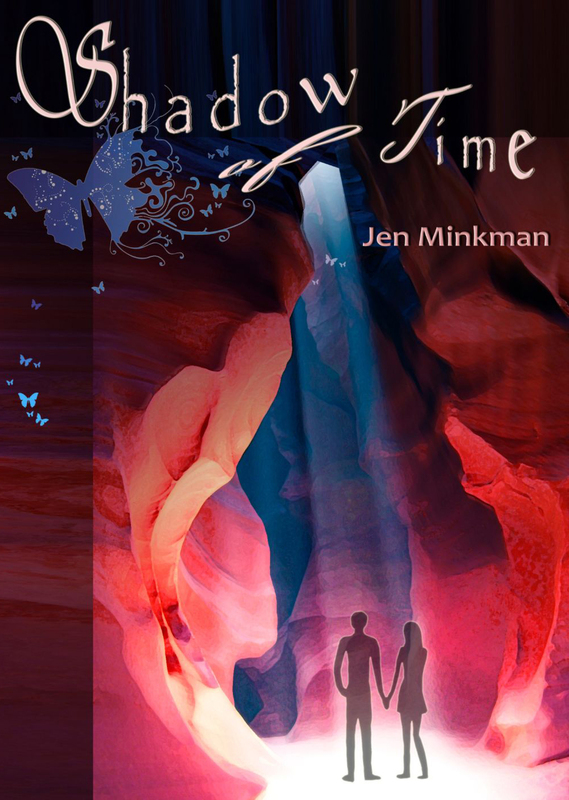 There, she meets Josh again, Ben’s childhood friend from the Navajo reservation. The little boy from the rez has grown up fast, and Hannah can’t help but feeling more for him than just friendship. 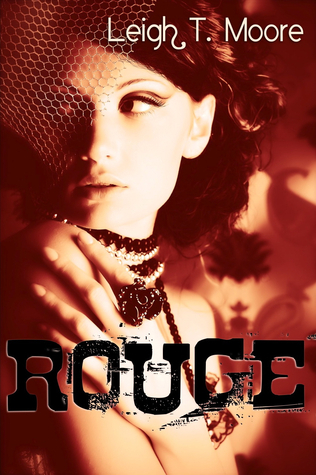 Welcome to my stop on the Rouge blog tour hosted by YA Bound. Rouge takes place in the 1890s so today, I have a super cool guest post by Leight T. Moore to share with you about the type of clothes that inspired the style found in Rouge. Also, the fabulous YA Bound is hosting a tour wide giveaway that is open to US and International fans to win copies of this novel so make sure you get your entry in! Today's post is one of the very many that you'll be seeing from now until Shadows in the Silence hits bookstores on January 29, 2013. 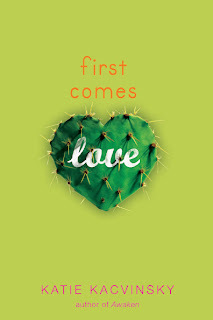 I am a huge fan of the Angelfire series by Courtney Allison Moulton and I am terribly heartbroken over the fact that it's all coming to an end very soon... but that very reason is exactly why this calls for an all out boom-sha-ka-la-ka celebration leading up to then. Welcome to my stop on the Halifax blog tour! 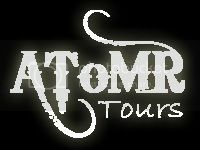 I was thrilled when I got contacted to take part in this tour because it was like... all Hollywood awesome, lol. 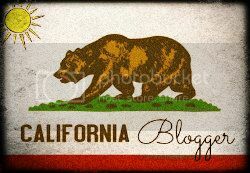 Today, I have a really interesting and insightful guest post by Leigh Dunlap to share with you! I was really curious about this so hopefully you'll enjoy reading it! When the Halifax siblings arrive at Lexham Academy, they don't seem any more or less odd than any other students. They have more important things to do, however, than take exams or find dates for the prom. They have aliens to kill. 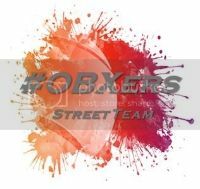 With the help of his sister Izzy and brother Rom, Farrell Halifax has to stop an escaped alien and save the Earth --- though that's hard to do when the captain of the basketball team is after you and you're falling in love with his cheerleader girlfriend --- who may or may not be an alien herself. 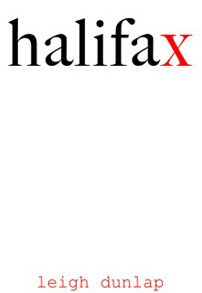 Halifax is a teen Torchwood meets Buffy the Vampire Slayer --- with a little bit of The Breakfast Club thrown into the mix. 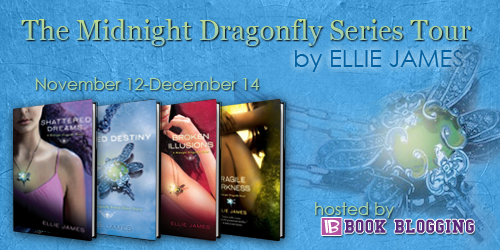 Welcome to my stop on the Midnight Dragonfly Series blog tour hosted by Bailey from IB Book Blogging. 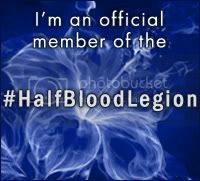 Today, I have a guest post by Ellie James to share with you as well as a super special sekrit scene! 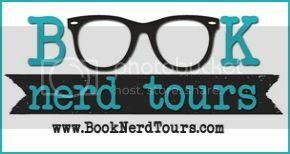 Along with the tour, there are two giveaways going on--the one that you'll find here on my stop today as well as a swag giveaway hosted by Ellie James herself; deets more on that later on in the post. For now, help me introduce Ellie James to Books Over Boys! 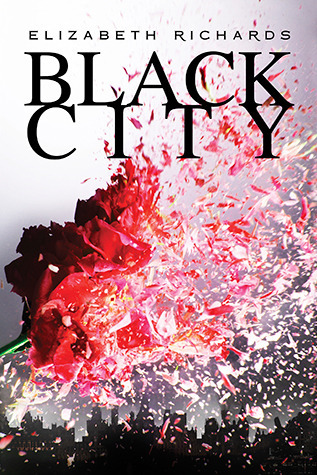 Welcome to my stop on the Black City blog tour hosted by Good Choice Reading. Today, I've got the honor of introducing to you a character from the book that I think you'll definitely want to know about. 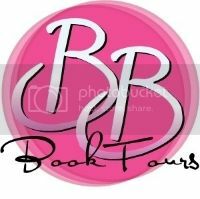 Also, the fabulous Good Choice Reading is hosting a blog tour giveaway where you'll get the chance to win some awesome stuff so make sure you enter! I am a ginormous fan of Stephenie Meyer. I love the Twilight Saga to death and I am so utterly crushed that it's all coming to an end this weekend but look at what we get to look forward to after the saga ends: The Host. 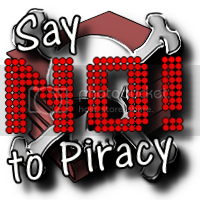 This meme is brought to you weekly by MizB over at Should Be Reading. Hmm, look at all that chocolate! Now that the cold weather has set in, I just want warm chocolate-ly yumminess. All that chocolate was definitely a tease, although not of the literary sort, lol. 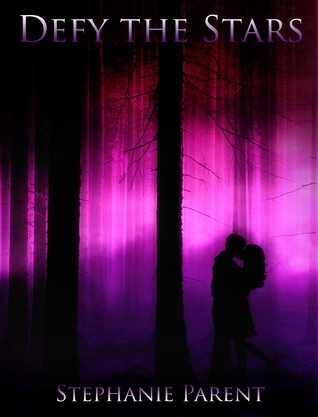 That picture was set there to distract you guys for a bit before I get back to this week's Teaser Tuesday. 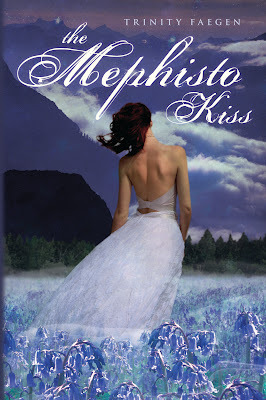 Welcome to my stop on The Mephisto Kiss blog tour hosted by Jean BookNerd. As most of you know, I am a huge-normous music junkie so add a good read to that and voila, it's like magic! Today, I'll be sharing Trinity Faegen's book playlist for The Mephisto Kiss with all of you and let me just tell you, there are a ton of amazing tunes on there that just blew me away! 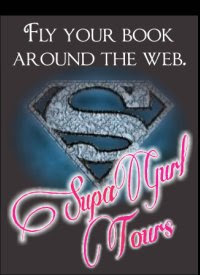 Welcome to my stop on the Defy the Stars blog tour hosted by YA Bound. 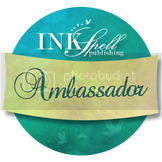 Today, I get to share with you an awesome character interview with Reed plus a giveaway! 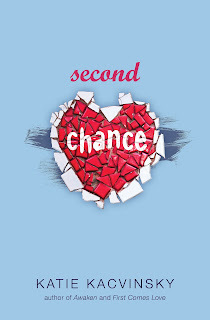 Welcome to my stop on the Second Chance blog tour hosted by Good Choice Reading and A Book-lover's Review. 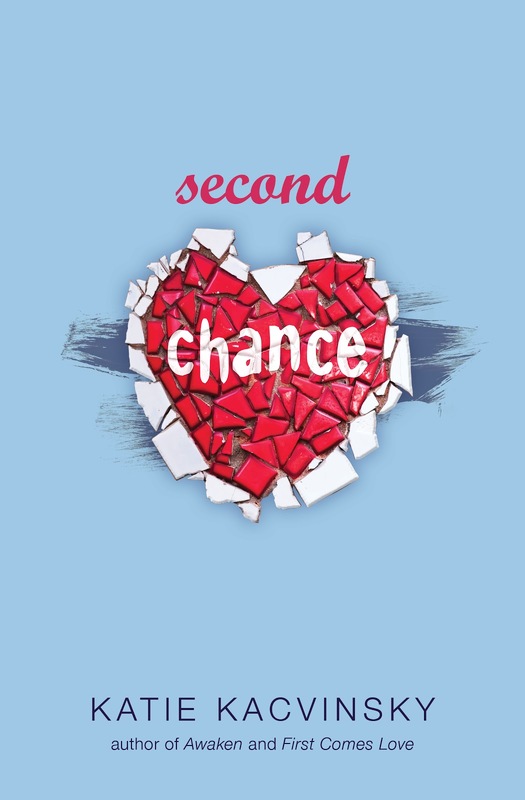 It's an honor to have Katie Kacvinsky on the blog today as she shares with us some reasons as to why all of you *points finger* should definitely pick up Second Chance. And as if that wasn't awesome enough, I also have a giveaway to share with you; lots of greatness so let's get to it! 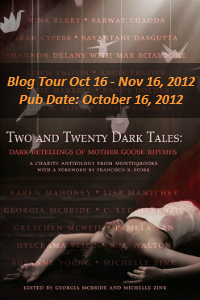 Welcome to my stop on the Two and Twenty Dark Tales blog tour hosted by Month9Books. Today, I have a really awesome interview with K.M. Walton--author of Cracked--that I can't wait to share with you! I read Walton's short story in the Two and Twenty Dark Tales anthology and I ended up really loving it more so than I thought I would. It had such an interesting twist that I just wanted more and more when I got to the end. I also have a giveaway to share with you so don't forget to enter that once you get to the end! And now, let's get to that really awesome interview, eh? 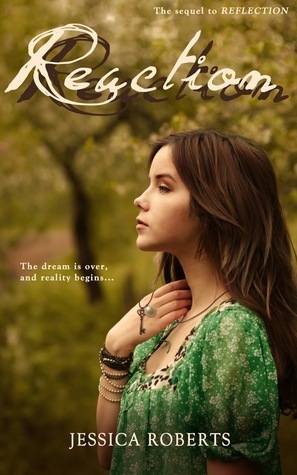 Welcome to my stop on the Reaction blog tour hosted by YA Bound. Today, Jessica Roberts will be sharing with us her Reaction dream cast. 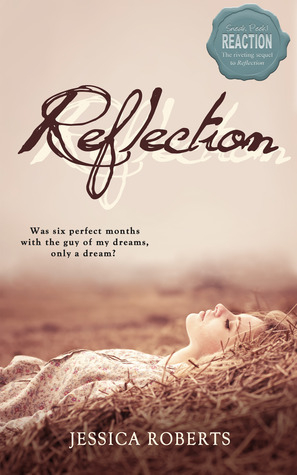 I have yet to read Reflection or Reaction but I know that it will be a total tear-jerker when I do get around to it. 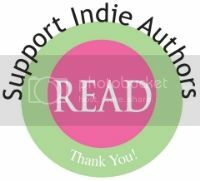 Jessica Roberts is also sponsoring a super amazing giveaway that I don't think you'll want to miss so make sure you stick around!